Opposition leader Jeremy Corbyn said that Davis' resignation "at such a crucial time" shows that Theresa May "has no authority left and is incapable of delivering Brexit". David Davis, the man responsible for overseeing the UK's exit from the European Union (EU) has resigned, citing irreconcilable differences with Prime Minister Theresa May. 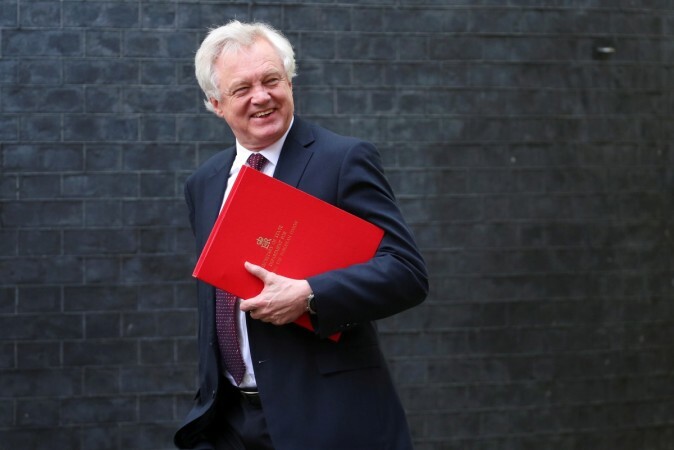 In a resignation letter sent to May late Sunday night, Brexit Minister Davis said it was looking "less and less likely" that the Conservative-led government would be able to deliver on its "manifesto commitment to leave the Customs Union and the Single Market", reports CNN. Davis said he was "unpersuaded that our negotiating approach will not just lead to further demands for concessions", and said the national interest required someone in his position to be an "enthusiastic believer in your approach, and not merely a reluctant conscript." The general direction of policy will leave us in at best a weak negotiating position, and possibly an inescapable one," the minister wrote in the letter. In her response, May said she was sorry he had chosen to leave the government "when we have already made so much progress towards delivering a smooth and successful Brexit". 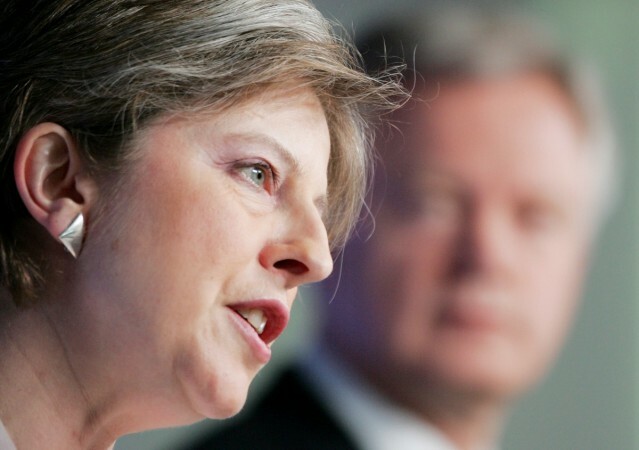 May's government on Friday agreed on a "business-friendly" plan for Brexit which was announced at the end of a crucial summit. It seeks to preserve the frictionless goods trade for the EU and avoid border checks and tariffs, most feared by manufacturing companies. The British prime minister, in the summit, said she would soon present the proposal to the EU, CNN reported. The June 2016 vote to leave the EU effectively ended a relationship which had endured for 44 years. Article 50 of the Lisbon Treaty outlines the voluntary departure, which will take effect in March 2019. Davis' resignation also comes as May is preparing for a key state visit by US President Donald Trump later this week and faces a potential new international crisis after a British citizen died on Sunday as a result of being exposed to Novichok, the same nerve agent used to poison former Russian spy Sergei Skripal and his daughter Yulia earlier this year. 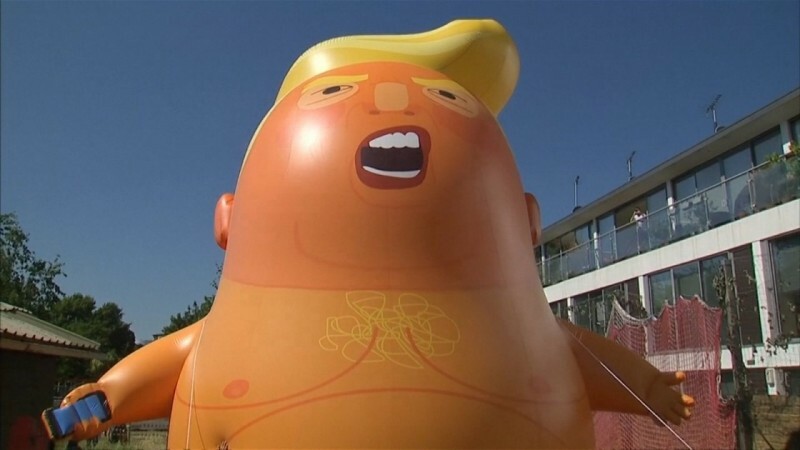 Activists in UK inflate a giant "Trump baby" orange balloon in preparation for the US president's visit. Meanwhile, Opposition leader Jeremy Corbyn said that Davis' resignation "at such a crucial time" shows that May "has no authority left and is incapable of delivering Brexit". "David Davis resigning at such a crucial time shows @Theresa_May has no authority left and is incapable of delivering Brexit," the Labour Party leader tweeted early Monday morning. With her government in chaos, if she clings on, it's clear she's more interested in hanging on for her own sake than serving the people of our country," they added. One of many Eurosceptics in May's Cabinet, Davis was a high profile supporter of the Leave campaign during the Brexit referendum, putting him at odds with the Prime Minister, who supported remaining within the EU. Brexit is not about Britain stepping back from the world, but jumping into the new opportunities it presents." "Outside of the EU, Britain will be nimbler, more open to innovation and technological change... Using our might as the world's fifth largest economy -- we can become a true champion of free trade."